So impressed with the quality and quick shipping in the middle of a snow storm-- Let me place another order! Love this shirt!!! Thank you so much! This item was exactly as described & it came quickly. Thank you! Beautiful shirt and prompt service! I have received togs of compliments on this shirt. You have a fan for life!! Super dope! Can not wait to wear this! Black History T-shirts, African American T-shirts. Wanted! Well Behaved Women Rarely Make History....FREE SHIPPING! I LOVE LOVE LOVE MY SHIRTS.. THE FASTEST DELIVERY EVER!! I LOOK FORWARD TO MY FUTURE PURCHASES! CUSTOMER, I AM, AS LONG AS YOU ARE A CREATOR! WE ARE GOING TO EVOLVE TOGETHER!! PEACE AND BLESSINGS TO US ALL..THANK YOU, THANK YOU , THANK YOU!!!! It has all my role models on it!!! I am absolutely in love with this shirt!!! Beautiful!! It's so pretty! The shirt is very vibrant and the shipping was INCREDIBLY fast! I'm very impressed. Reached my home Super Quick..I Love the Super Soft fabric. The Art work is INCREDIBLE when it is in front of your face. 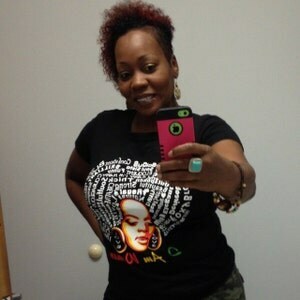 I am looking forward to Rocking this Shirt ,and Trust baby, I Am Going To Rock It with my Naturally Beautiful Self! BLESSINGS to Us All!! 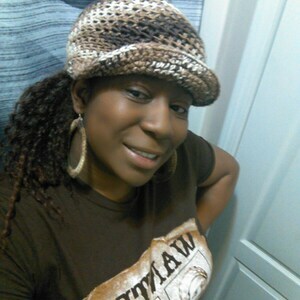 I love the message...but i wanted the softer babydoll fitted tee...i know i ordered a 3x.. ALWAYS AN ORIGINAL THANKS TO YOU! My sister saw this on me and was, like, GImme! So I've got one for her Xmas pressie. It arrived promptly and is beautiful, well-made and stunning. Absolutely love it! I bought it as a start of the semester gift for my wife who is a professor of African-American studies and teaches about social justice. Beautifully made! Fits nice & I love the message. Thanks! 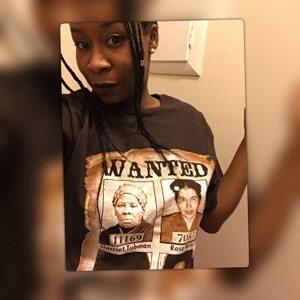 Black History T-shirts, African American T-shirts. Wanted! Well Behaved Women Rarely Make History. Brand New!! Nice shirt good quality and fast delivery. I Order a large but next time since it's a baby doll style shirt. Hope it's washes well. It's pre shrunken cotton. Fit is perfect but next time will order one size up. Like my shirt a little loose. This starts conversations wherever I go; my sisters now want one!